So you're considering joining up with a local gym! 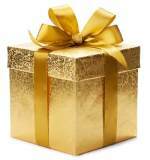 That's great and we wish you well in your reach for improved fitness and health. You are probably looking into some of the gym exercise routines and classes available at the professional fitness centers you are considering. Our wish is that our research on the latest and most popular exercise systems will help you in your quest. Cross-training in general is exercising in a variety of different sports other than the athlete's usual sport, so that all muscle groups receive benefit. This theoretically improves overall strength and performance. 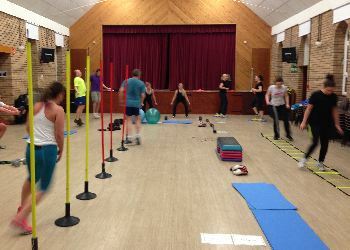 Cross-training classes at a gym, (also called circuit training), uses a laid out path of different exercises. Each participant moves through the circuit, changing to a new station when a bell or other signal rings. This variety in exercises helps to condition some muscle groups while allowing others to rest. This also helps maintain interest and prevent burnout. Spinning® classes have been popular for a few years now, and are still going strong. "Spinning®" is a trademarked system of indoor stationary cycling classes. Certified Spinning® instructors guide the bikers through distinct workout phases, such as warm-up, sprints, climbs, and cooldown. Subdued lighting and energizing music can help set the mood. These classes can help you stay in good aerobic condition during the winter season, when outdoor cycling can be difficult or impossible. However, any cycling in place can eventually become monotonous and boring. 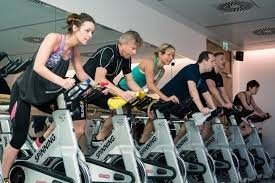 Spinning® is intense, strenuous exercise, and the presence of others in the class can pressure you to keep up, often beyond your tolerance level. I advise you to do some independent conditioning on a stationary bike before joining a Spinning® class. Why not set up your own private Spinning® station in your home? This reasonably-priced yet sturdy stationary bicycle should fit the bill nicely. 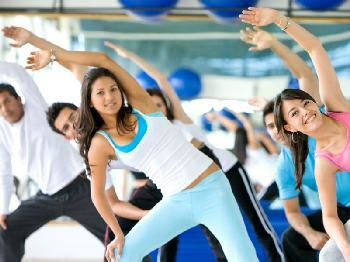 Pilates has been around for decades and remains popular worldwide today. It is a "mind-body" exercise technique developed in the early 20th century by Joseph Pilates. Pilates made lots of ambitious claims regarding the benefits of his exercise system. Claims included: alleviation of low back pain, improved balance and reduced falls in the elderly, increased flexibility and core strength and improved mind-body "balance". However, multiple independent studies have failed to prove that Pilates provides any clear benefit over other traditional physical exercise; nor has it proven to be an effective treatment for any specific medical condition. Pilates is a safe, low-impact, gentle exercise technique that can help with muscle conditioning, particularly the abdominal/trunk area. Most exercises can be done with only a floor mat, but there are a variety of other equipment (Pilates calls them "apparatus") which can be incorporated into the Pilates class routines. Our take on this gym exercise routine? Pilates could be a kinder, gentler means of exercise, particularly for the elderly. However, there is nothing special or remarkable about the techniques. 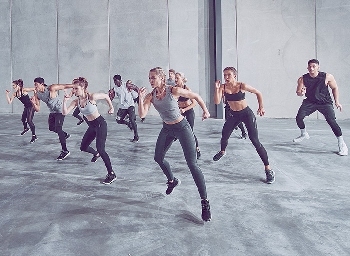 HIIT (High-Intensity Interval Training) is probably the hottest new exercise fad out there today; thousands of men and women have embraced it, as the best calorie-burner of all. There are even work groups who have formed scheduled HIIT sessions on their lunch breaks. Serious HIIT warriors! A word of caution, though. Our research has uncovered some serious concerns about HIIT, and we advise you to approach this training system with caution. It certainly burns lots of calories; however, there is more to fitness than weight loss. High-intensity interval training (HIIT) is an aggressive exercise system which alternates short bursts of intense, anaerobic, highest-effort exercise with more moderate activity and cool downs. During the periods of high-intense exercise, you are expected to push yourself to the absolute limit. You stop your HIIT session when you're too exhausted to keep on going. Ding ding, warning bells! Researchers have questioned whether most people can tolerate the extreme nature of this exercise regimen. Going "full-tilt" without proper pre-conditioning can lead to serious injuries. And this is more likely to happen if you are not in top aerobic condition, or if you are overweight. We say stay away from this hugely popular fad exercise program. And if you have any doubts about our recommendation, just have a chat with your doctor. The Movement is America's newest (and most unusual) fitness craze. 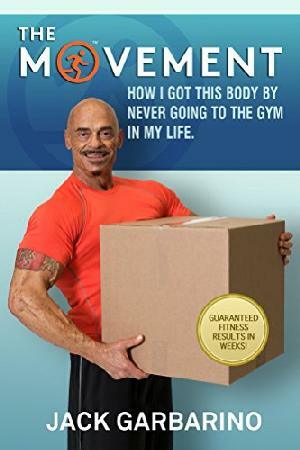 Developed by Jack Garbarino, this exercise method involves lifting and moving an assortment of packed boxes and furniture. Garbarino claims that lifting and moving heavy objects duplicates the primal workout that kept our ancestors healthy and fit. With his prescribed lifting program, he believes that every part of the body is challenged and forced to make split-second adjustments. He further claims that with his program, no part of the body is neglected, and that every workout experience is unique. Taking America by storm? I think we'll pass on this one. Note: Garbarino's book pictured above can be bought on Amazon. According to reviewers, the book is more a tale of the author's adversity in childhood and how he overcame it. It does not fully explain or instruct in his exercise methods. A smelly gym not your cup of tea? Set up your own private exercise circuit at home. Take a look at these cutting edge Home Exercise Systems for some ideas. Stay in tune to your fitness regimen and exercise stats with one of these Fitness Trackers. Lose weight the safe and easy way with The Best Diet of All Time.